Inspired by the sinuosity that defines the dome of the Oceanographic. It arises as a result from the research on 4D surfaces. Its main characteristic is that it is able to equally distribute the light almost 360º around, just using one light emitter thanks to its undulating forms properly united. Se inspira en la sinuosidad que define la cúpula del Oceanografic. Tiene su origen en la investigación sobre superficies 4D. Su característica radica en que con tan solo un emisor de luz, es capaz de repartir la iluminación de manera equitativa a casi los 360º gracias a sus formas onduladas debidamente unidas. 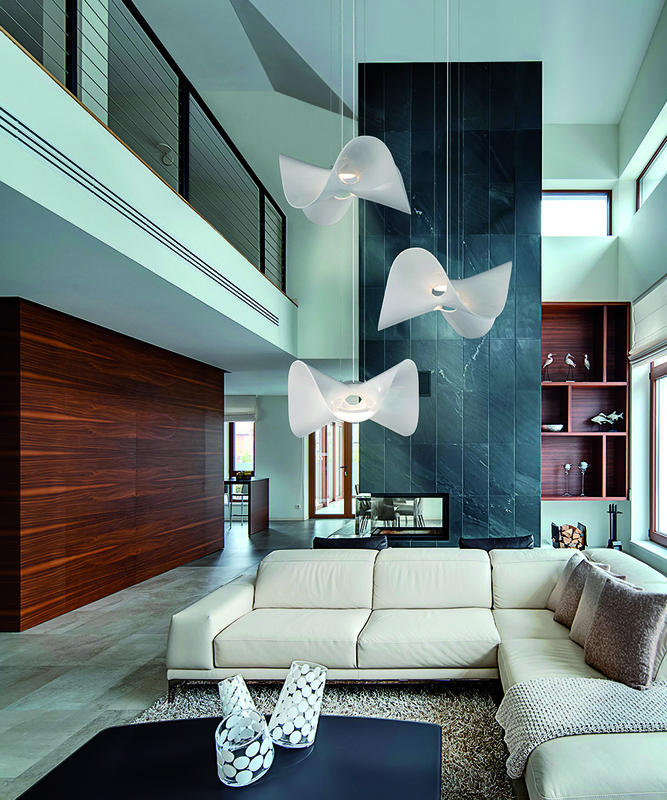 The shape of the lamp allows the light to spread itself through the room. La forma de la lámpara permite que la luz se extienda por toda la habitación. 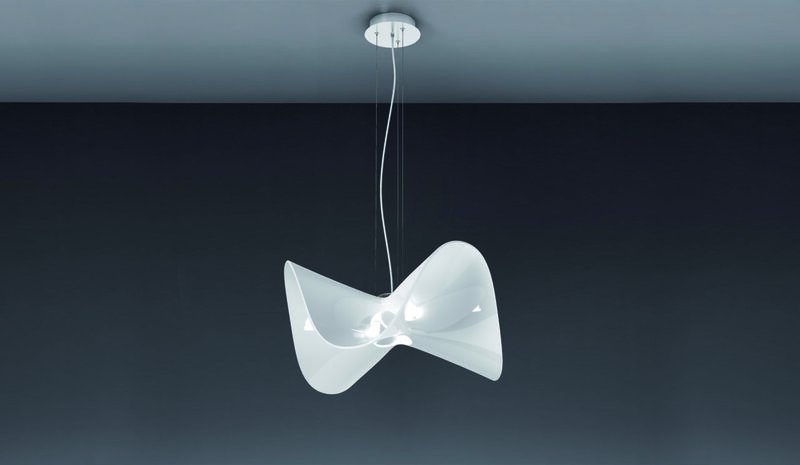 MANTA evokes the movement of a stingray, gracefully representing the fin waves. MANTA evoca el movimiento de una mantarraya, representando grácilmente las ondas de sus aletas.